Say hello to Medic, the PSD template that will help you to make a hall Medical, Health or Hospital website. In this pack of 26 PSD you will find 2 styles of timetables, doctors page, doctor profile page, departments pages and all you need to make a medical website. 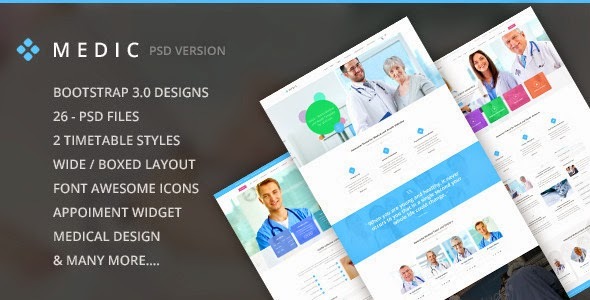 Item Reviewed: Medic Medical, Health and Hospital PSD Theme 9 out of 10 based on 10 ratings. 9 user reviews.